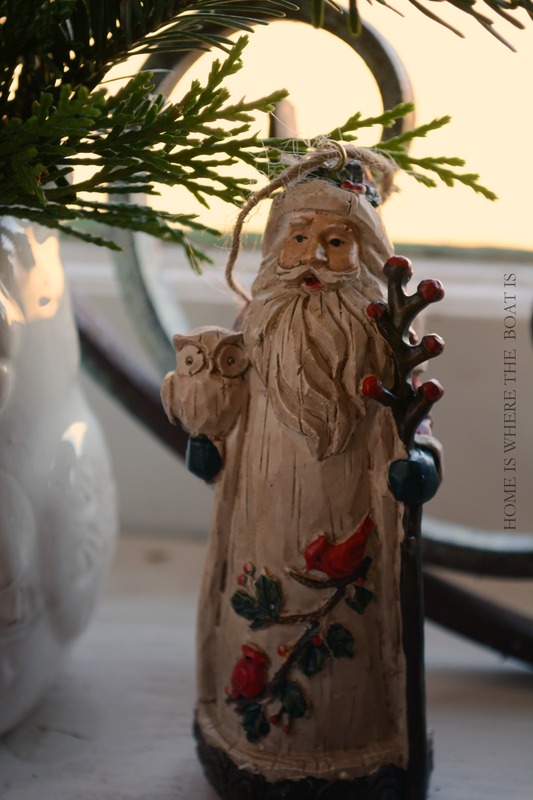 With Christmas around the corner, I’m putting out the Wise Men and Shopping Wisely! 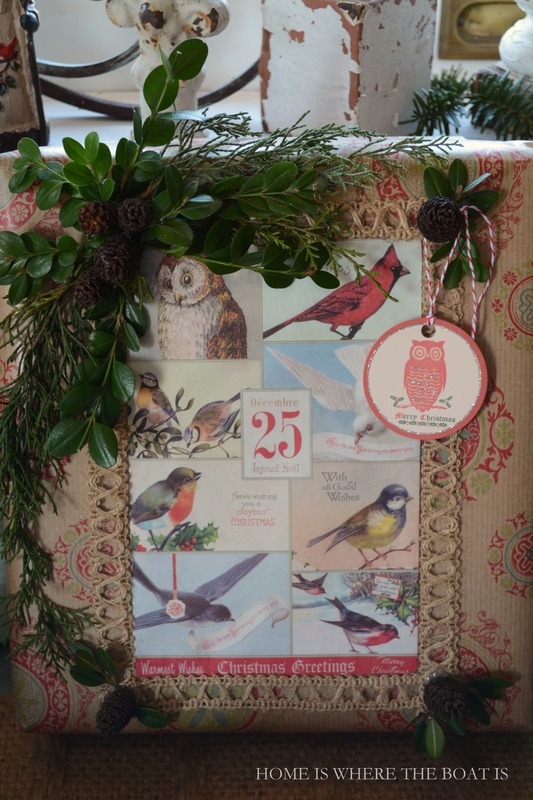 And winging my way through December with a little fun and inspiration from my Birds of a Feather Advent Calendar! 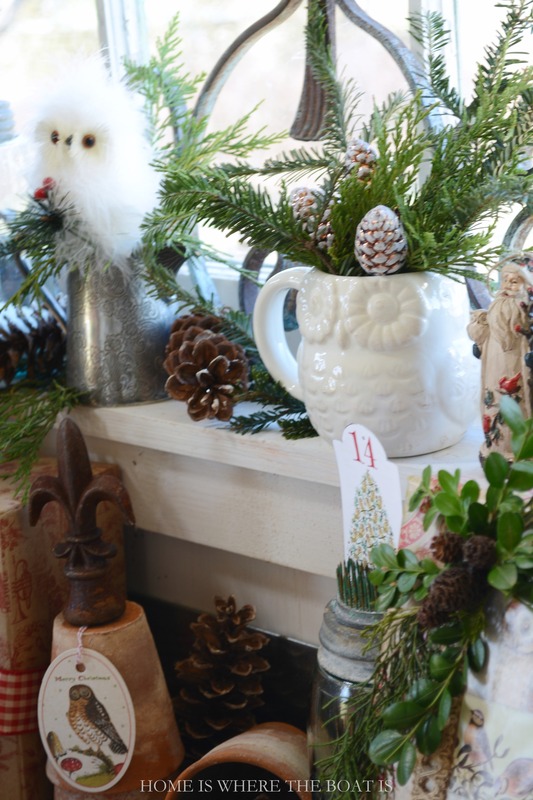 My Potting Shed is an owl habitat for Christmas and a little tabletop fun! 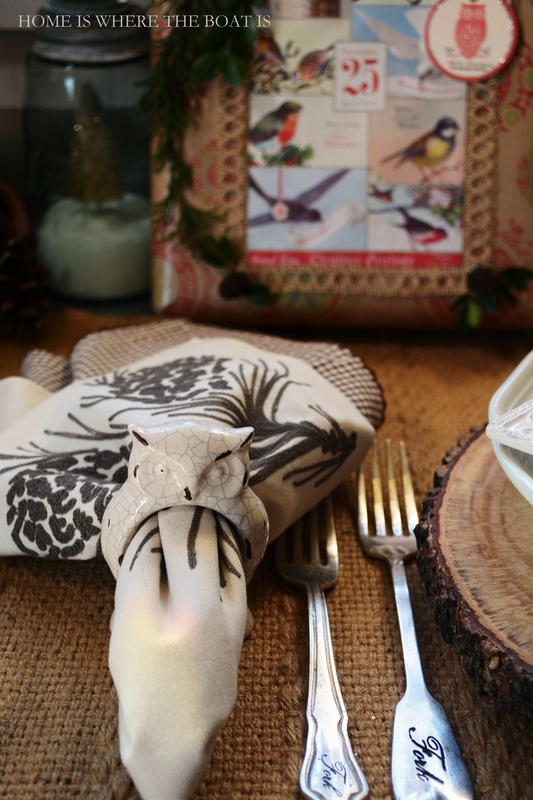 A jute runner provides a foundation for wood slice chargers and a snowy white dish stack, topped with an owl plate. Antique white owl salad plates, bowls and mugs were at Walmart (Better Homes and Gardens collection) in October, a hoot for $2.98 each! 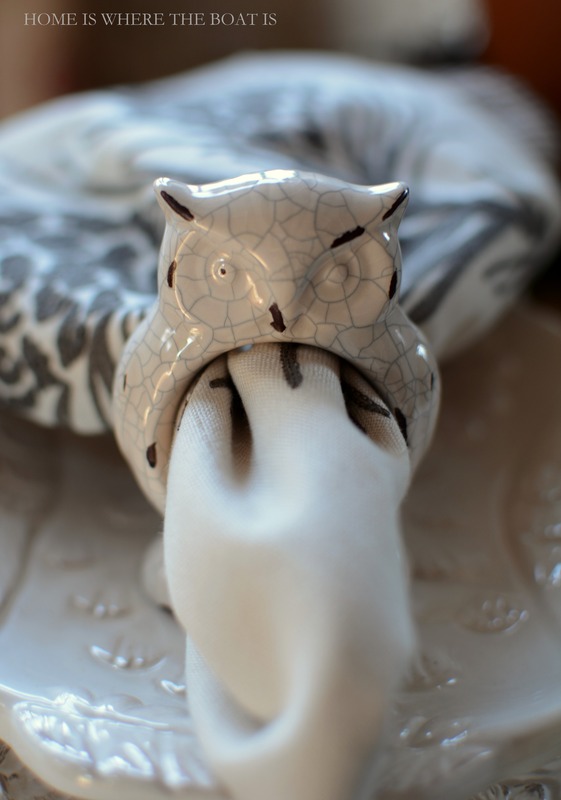 And snowy owl napkin rings from HomeGoods were a wise find at $5.99 for a set of 4. 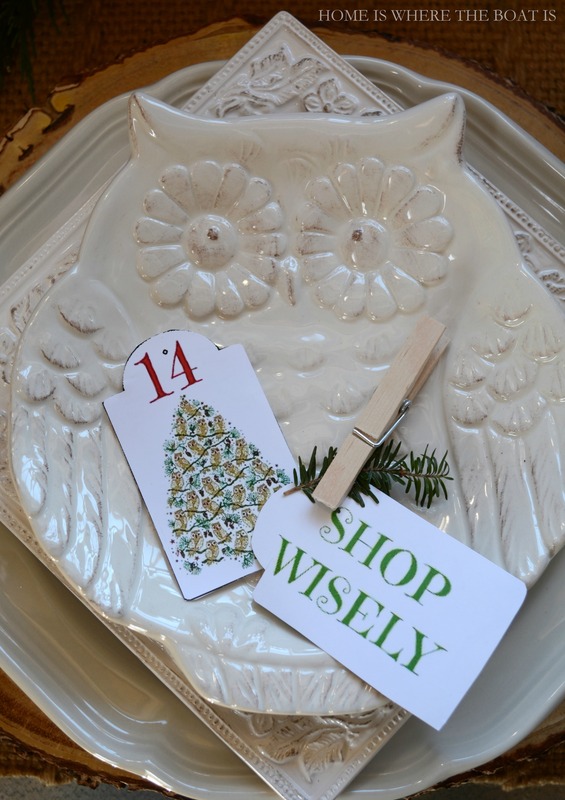 Since birds of a feather flock together, owl ornaments have flown in to join the dishes. Some are nesting in snowy white goblets. . .
And others are looking down from chippy finial perches. 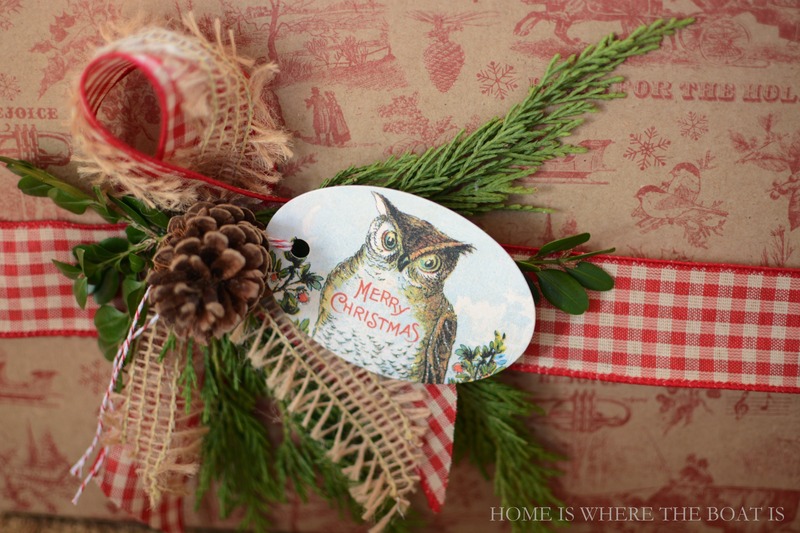 Owl Christmas gift tags were found at a local shop, available online, here. 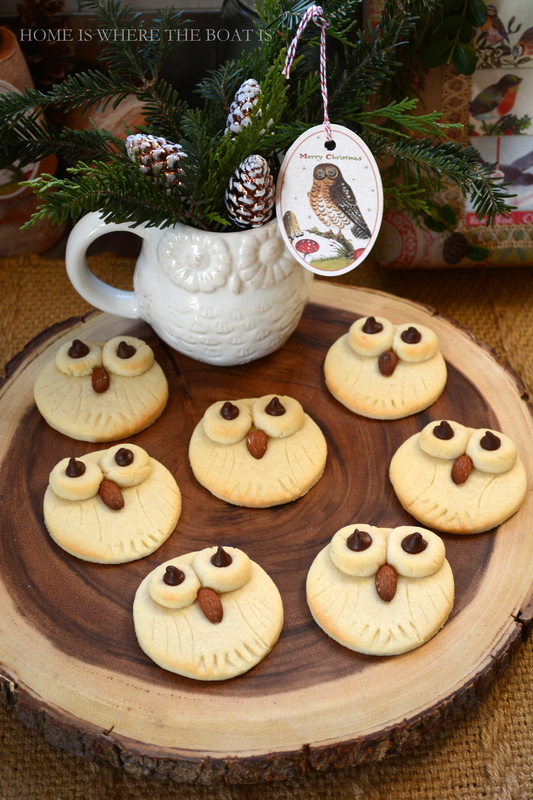 ‘Tis the Season for cookies and I’ve been spotting several varieties of owl cookies on Pinterest. 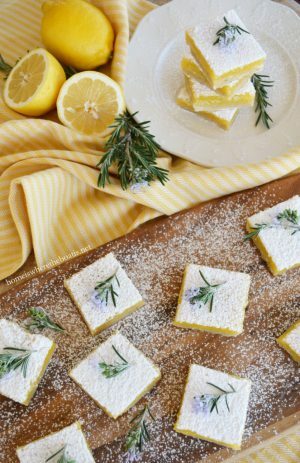 These are quick and easy to make with your favorite sugar cookie or shortbread recipe! 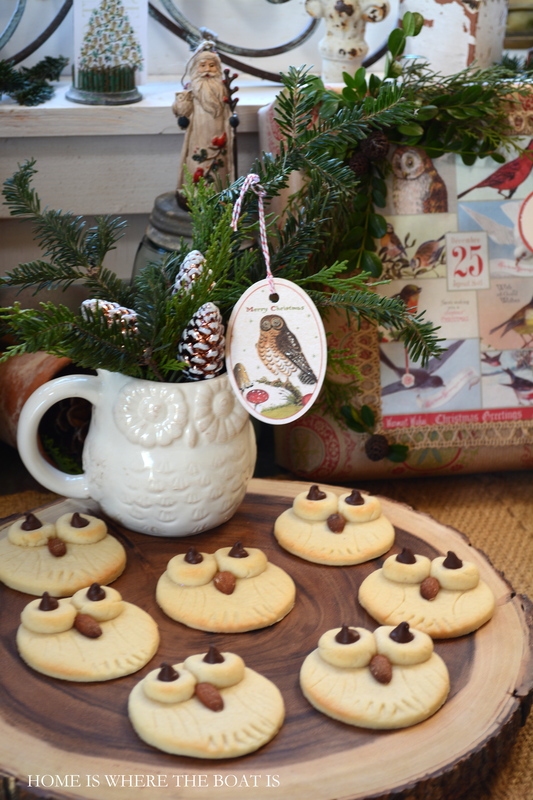 Whoooo doesn’t love a quick & easy cookie at Christmas? 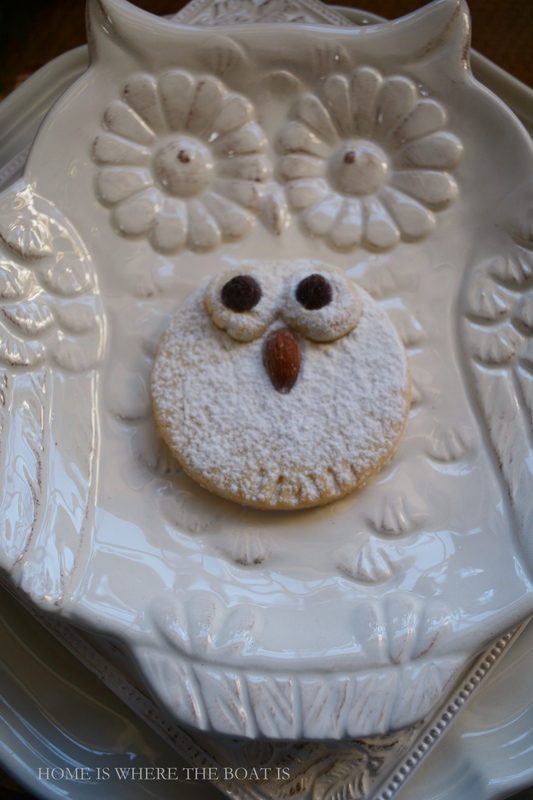 I used chocolate chips for the eyes, an almond for the beak and a 3-inch round cookie cutter for these owl sugar cookies. I used a sugar cookie recipe from The Kitchn with a hint of almond flavor. If you’re looking for a good sugar cookie recipe that is firm, buttery, easy to work with and good for cut out shapes, I recommend it. Cut out the round shape for the owl. Pinch off and roll two balls for the eyes, flatten them and add a chocolate chip in the center. Add an almond for the owl beak and make some score lines for the wings/ feathers. I used the tines of a fork the feet. Bake according to your sugar cookie or shortbread directions. My cookies baked in 10 minutes. Dust with powdered sugar for snowy owls. You can use a brush to remove the sugar from the eyes and beak. Are you finished with your shopping with Santa on his way? 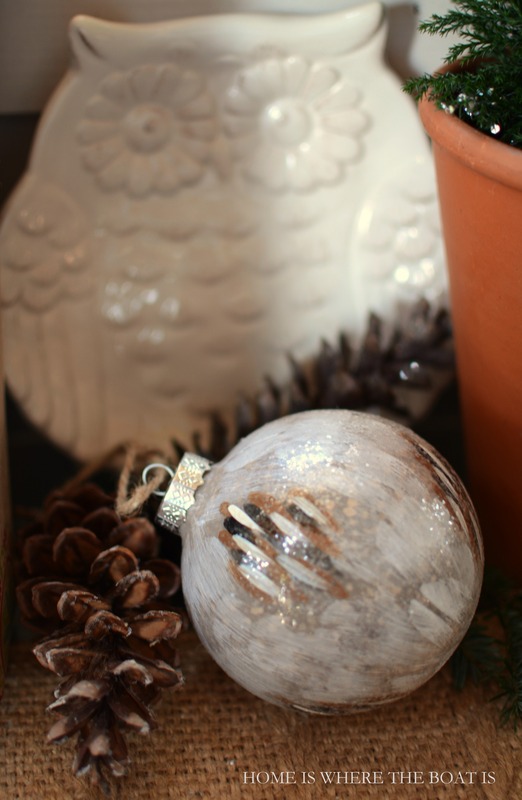 I’m hoping owl my shopping :) will be wrapped up this week! ← Growing a Poinsettia from a Cocktail Napkin and a Poinsettia Cocktail! 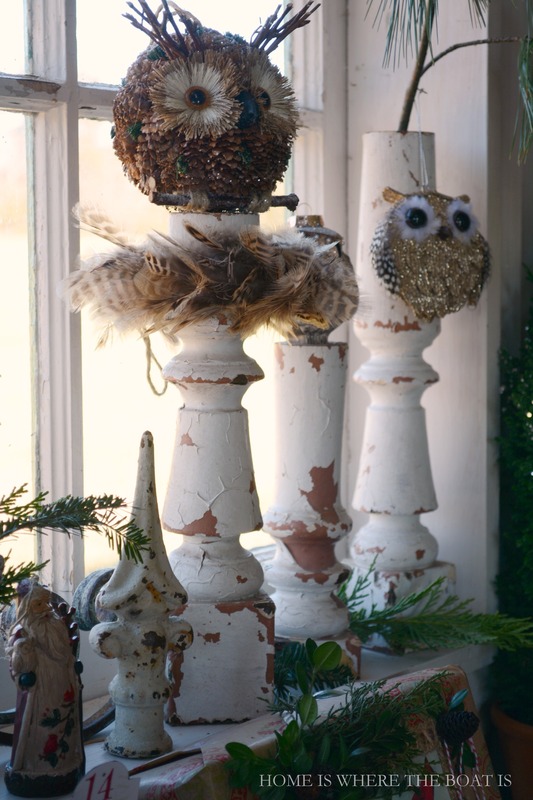 Everything looks beautiful–love the owls! What a hoot! If it wasn’t 6am I would be jumping up and down with glee! This is the cutest thing ever! Your wise men are all so adorable, I especially love the furry one!! 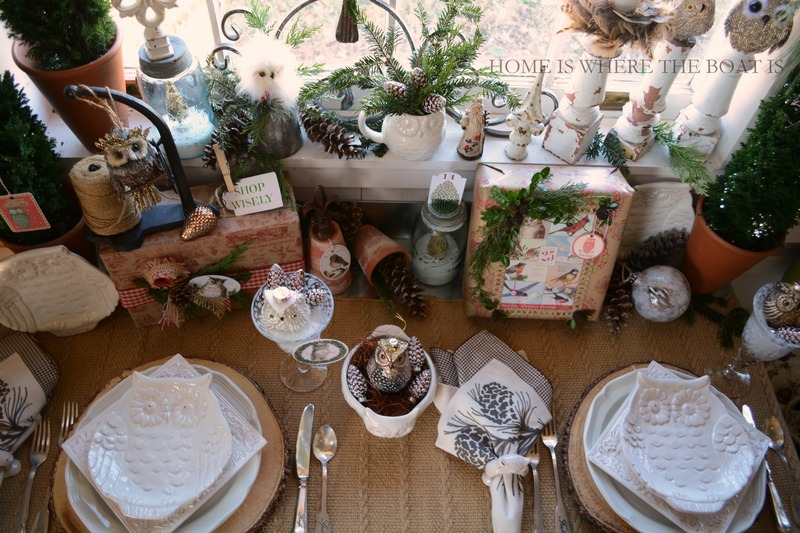 I can’t believe you found the owl plates at Walmart, and the chippy owl napkin rings from HG couldn’t be more perfect…owl tags, owl everything, even owl cookies, it is an owl winter wonderland Mary! 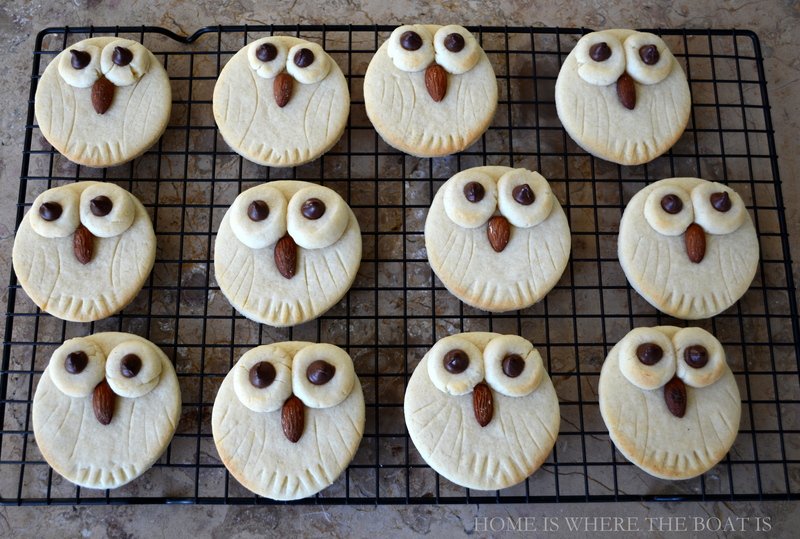 Your owl cookies are the cutest ones I’ve seen and I bet they taste so good with the touch of almond. Once again, your Monday post has started my week with a big smile~ Thanks for owl the fun! Whooooo wouldn’t love this post! Definitely making those cute cookies to put with others I’ve already baked to share with my neighbors. Thanks again for a great post. I an owl crazy and I just love this post. I haven’t been into WalMart in ages and you find the best stuff there! Cavallini make some of the best paper goods. 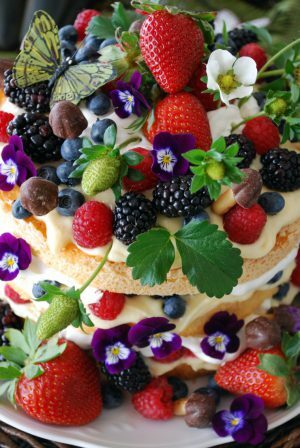 Your creative mind is infinitely charged, Mary! 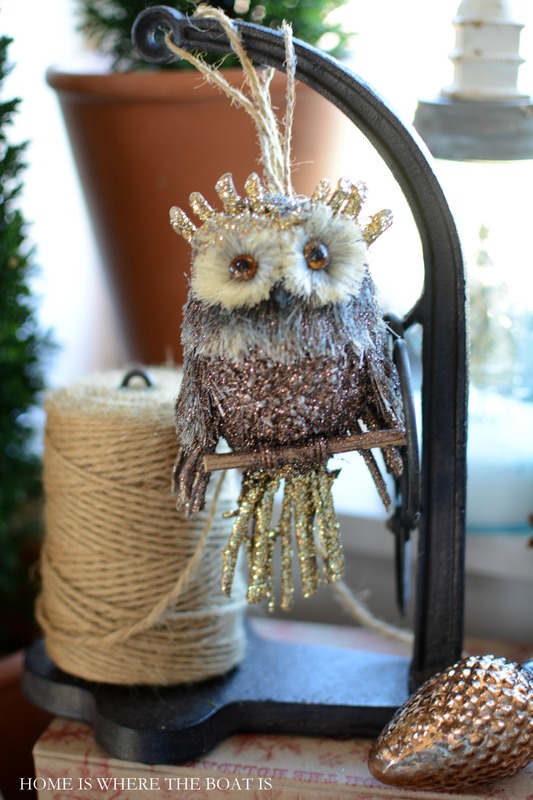 I love owl of your ideas, and your ability to mix inexpensive to look like a million bucks. 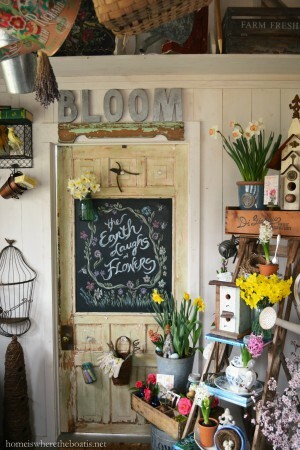 Love the shed and everything in it. Merry Christmas! 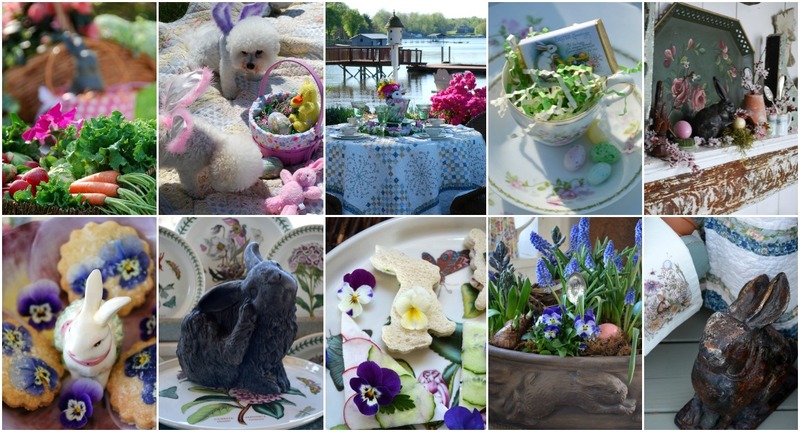 Oh Mary…this post is such a joy! Enjoyed every single detail! The little owl in the bowl stole my heart. Thank you! Precious! As always! Your imagination is CRAZY ms Mary…how I would love to shop with you! My fave piece of all is the very last ornament. Santa with his owl! Perfect ending to a sweet sweet post! Found you through Between Naps on the Porch and I LOVE your owl theme. I thought I liked owls until this post! 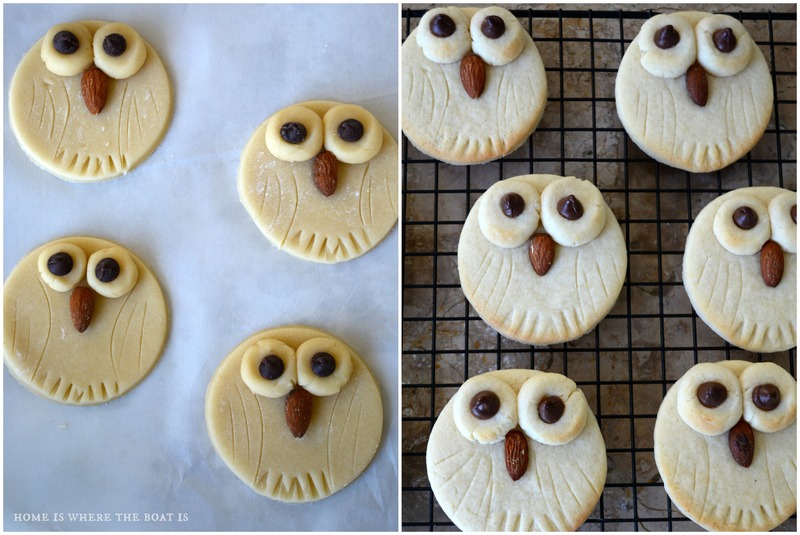 lol Planning on trying the Owl cookies asap – thanks for sharing. One thing – you need to add a “Pin it” button to your images on the blog – that way people can pin your stuff and share it with others. There are easy (free) tutorials online. So cute. I love this post. I have decided that my Wal-Mart is a dud! They never have the adorable dishes that everyone shows in their blogs and I don’t even have a Home Goods! How sad is that! I always enjoy your posts so much! Thanks, Mary, and have a wonderful Christmas. I love your blog. Your ideas and photography are wonderful and I can’t wait to log in to your site every day. Have a beautiful Christmas and thank you for sharing!! 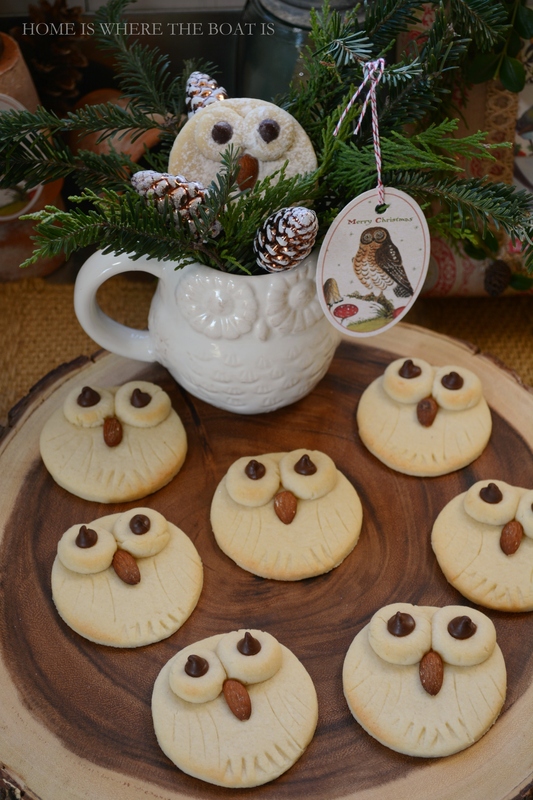 So clever, love the owl theme and the cookies are so sweet. Great job!! as your producer… cut, perfection in one take! you know i am smiling all through my day, just give you an idea, sit back and watch the magic begin… exactly what i knew you would do! i adore how we think a like, take a word, a pic and run run run with the fun! besides shopping twins its fun to see another adult wanna play ;-) i am sure you have more fine feathery in the works, LOVING THIS! Oh my gosh Mary, this post is so cute!! Those Wal Mart dishes are super fabulous, but then the cookies appear and I was smitten! They are the cutest things ever and you did a great job. Owl I want for Christmas is .01% of your creativity! Thank you for sharing. So glad to see your sweet owls. I love them, too. I moved mine to a corner and left them out for the holidays. Whooooo wouldn’t want to swoop down and linger at this delightful setting? Your creative take on everything makes me smile every time. Actually it leaves me sitting in awe! Every detail is perfection. 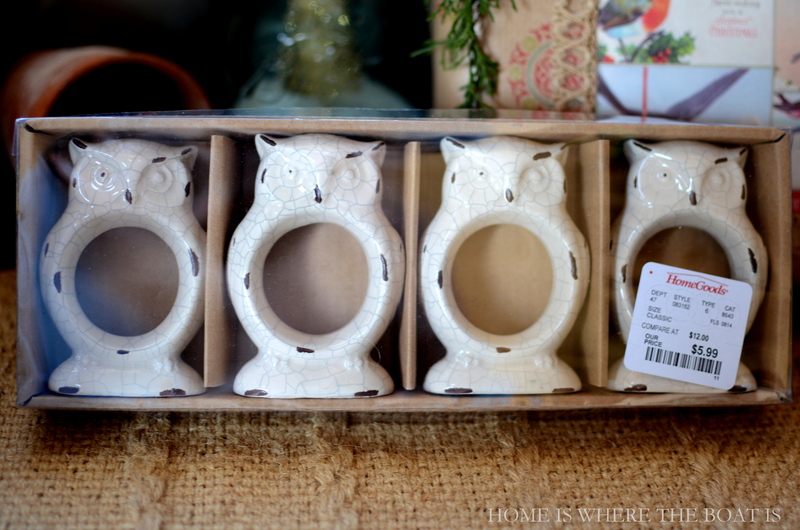 I saw the owl dishes in October just by chance and bought a few pieces to give as gifts. I was a Chi Omega and one of my Chi O sisters was hosting a mini reunion. The cookie jar and a box of Trader Joe’s pumpkin cranberry crisps made a great little gift. Love the wrapping paper too, by the way. 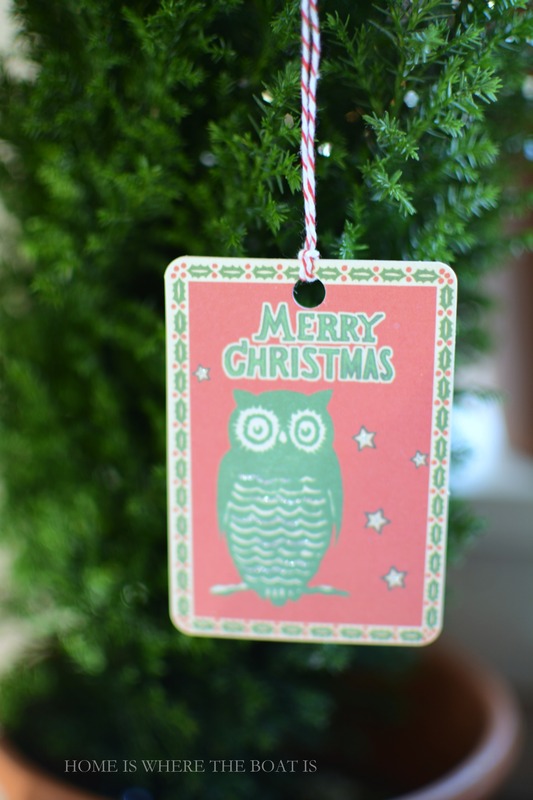 PS ~ I’m going to order a set of the gift tags. Beautiful graphics! This is adorable! 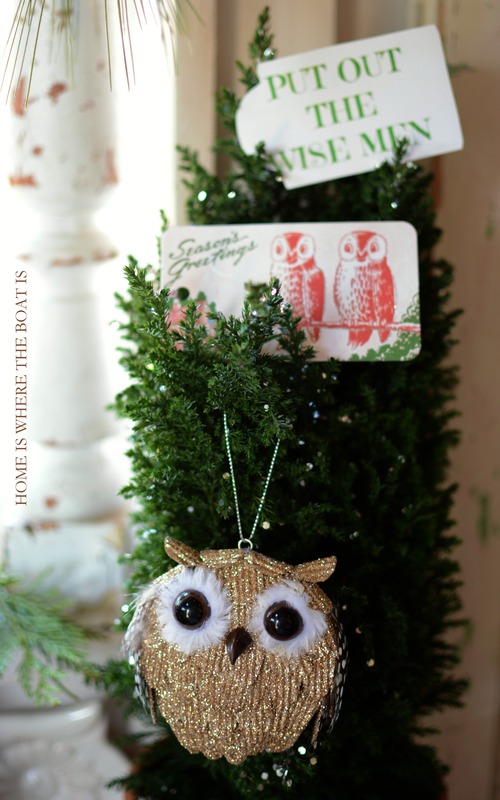 I am sending this to my daughter as she loves owls and now HER daughter is loving them too!!! have GOT to make those cookies!!!!! You are the best. OWL my shopping is NOT done but I made a list tonight of what is left and have got to get it done this week….in between lots of committments!!! 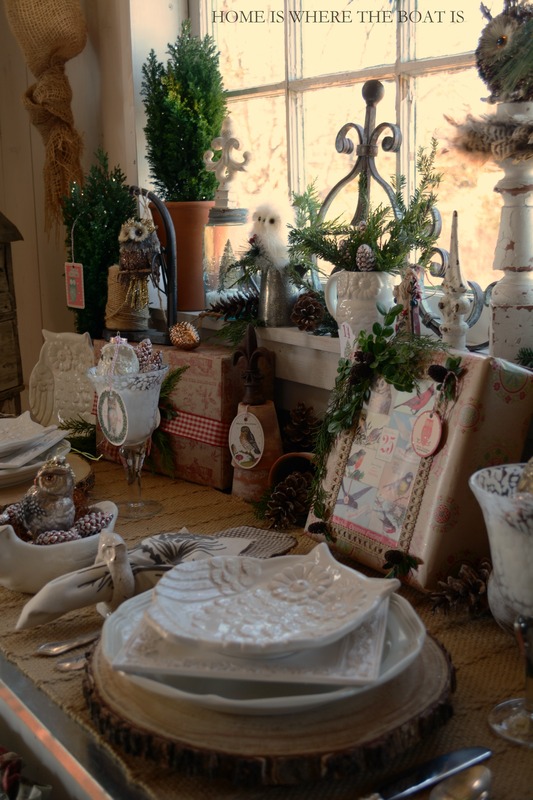 Not only is the garden shed filled with wisdom…the garden shed owner is one wise cookie too!….Love how you so beautifully decorated the garden shed with the cutest of owls…Love those cookies…they just make me giggle they are too darn cute!!! Your creativity is never ending. 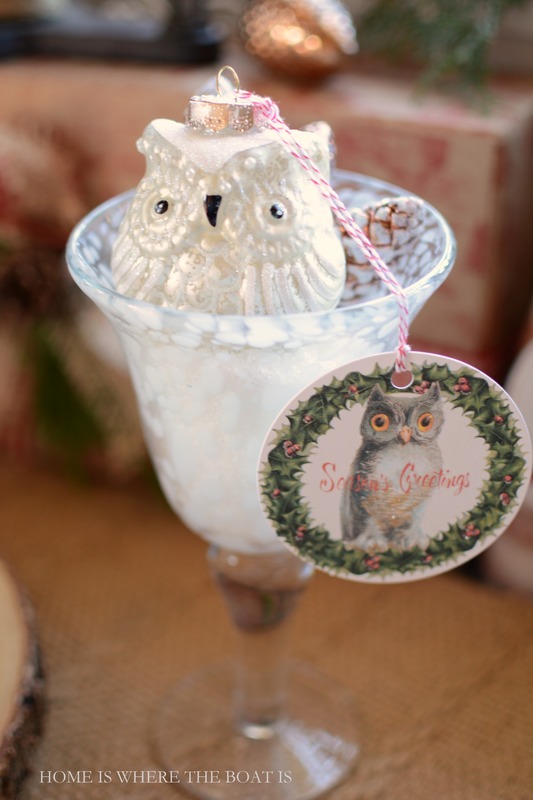 I love ‘putting out the wise men’ as owls. All of the decor is beautiful and a delight to see. As always, you’ve started my mind whirring with ideas. 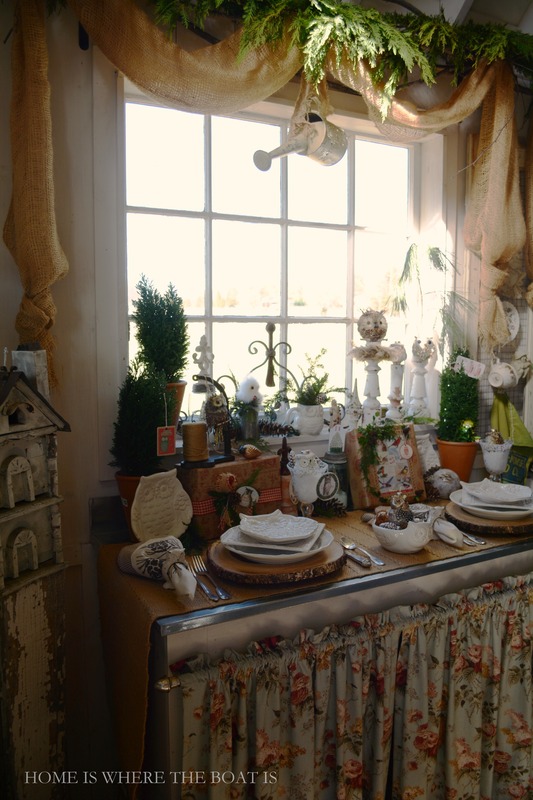 Mary, your garden shed is fabulous!!! 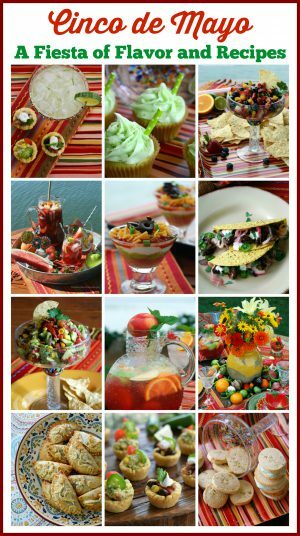 I love every single element and you have such a gift for decorating and photography. I absolutely LOVE the wood slice chargers and have been begging my husband for some for Christmas, but I’ve not seen them in our local BB&B. Is there a link to order them online? I REALLY NEED them!! Merry Christmas!! What an adorable post. 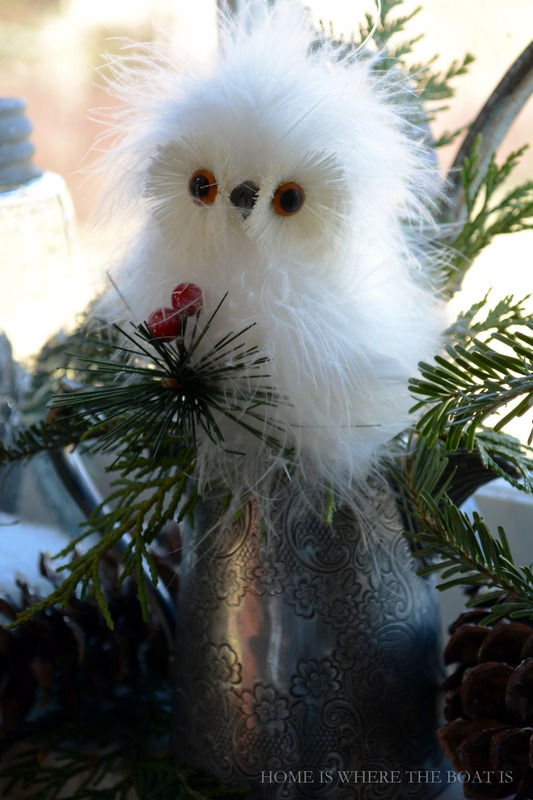 Love all of the snowy owls and I wish that I had one of those great cookies right now – I have not had breakfast yet – lol! I so enjoyed your owl display!! 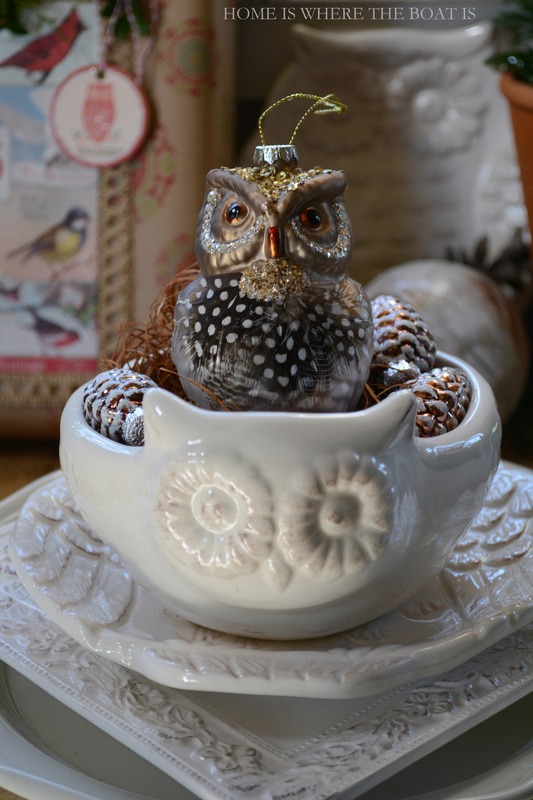 It seems BH&G dishes are “owl” the inspiration we need this Christmas. 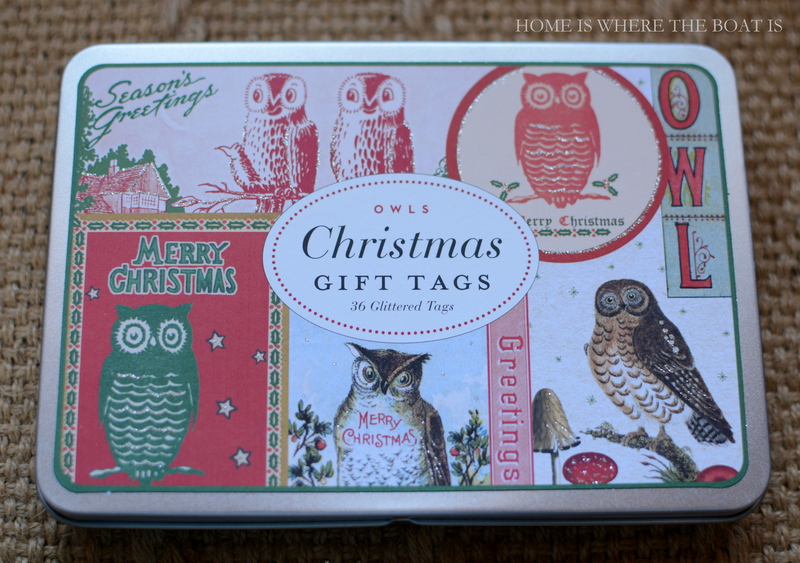 ;-) Your gift tags are such a nice touch – and the owl cookies are extremely fun. Merry Christmas, Mary! 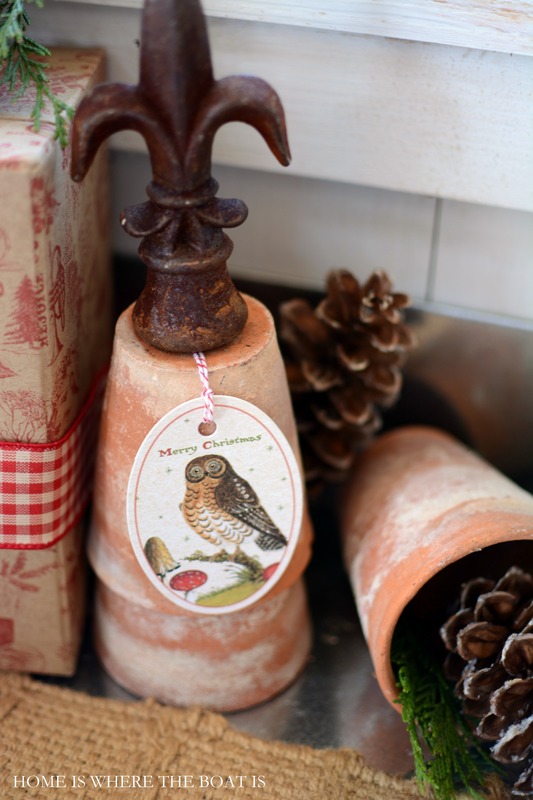 I just love your owl themed potting shed…it’s so darned cute, Mary. After seeing the cookies, I think I will make some for the cookie trays. I love the owl cookies, but if you put the choc. chips on the eyes before you bake don’t they melt down flat? This is absolutely amazing!!!! Love the way you carry out the theme. Every detail is wonderful. 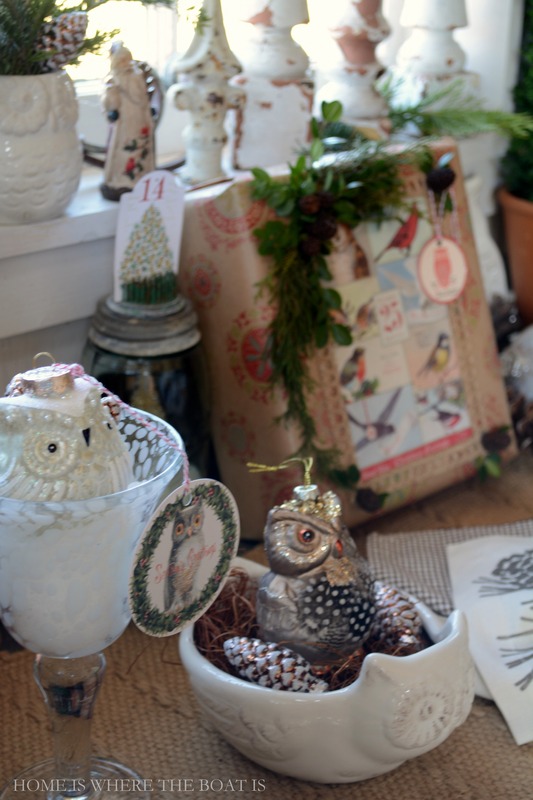 I especially enjoy the owl ornaments. Score!